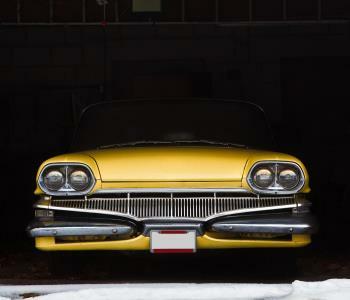 Global classic car and boat insurer, Hagerty, recommends storing your car in a dry, dark location with controlled access. Vines Storage has you covered! Unlike other facilities in the Inland Empire, Vines Storage offers enclosed and climate-controlled options. An onsite guard, access control, and dozens of surveillance cameras protect the facility. It’s easy to get to your well-protected vehicle. Vines Storage units offer plenty of room for you to get your car and take it for a spin, or to keep up with the maintenance that may double as a hobby. Being choosey about your options and selecting quality storage not only ensures the work you put into your classic car isn’t undone by the elements, but it’s also good insurance practice. Vines Storage requires you provide proof of insurance. Your insurer will thank you, because quality storage minimizes the risk of damage resulting from accidents or vandals, and protects your car from theft. Esurance notes it’s almost impossible to buy insurance for your vintage beauty without some type of enclosure. Special cars need special products - Have you invested in waterless coolant or manual transmission lubricant? Don’t trust your car to just anyone. Call us to discuss your options.